Please be patient while the pictures load. In January 11, 2010, Chief Warrant Officer 5 Gary Nisker assumed the office of Command Chief Warrant Officer of the Army National Guard with duty in the Office of the Director Army National Guard in the National Guard Bureau. 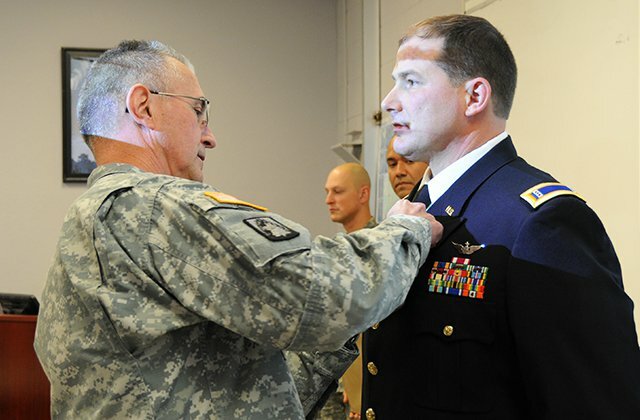 On January 29, 2010, Chief Warrant Officer 5 Todd M. Boudreau became the third Regimental Chief Warrant Officer of the Signal Regiment assuming the position at Fort Gordon, Georgia. See biography and photo. 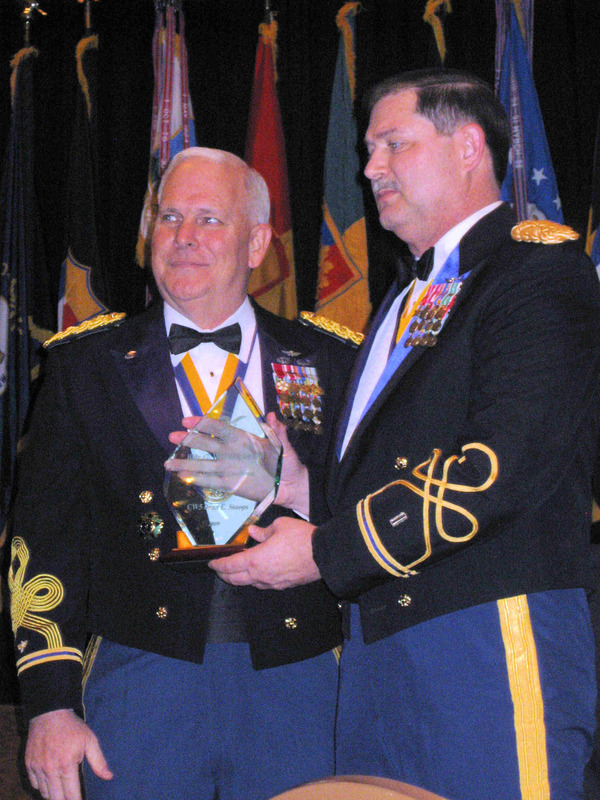 On February 13, 2010, the National Guard Association of Kentucky (NGAKY) presented Chief Warrant Officer Five Dean E. Stoops with its most significant recognition, the prestigious "Billy G. Wellman Award", for his contributions to the Kentucky National Guard, the NGAKY, and the Kentucky National Guard Historical Foundation. CW5 Stoops is the Army National Guard Aviation Standardization Officer assigned to the National Guard Bureau Aviation and Safety Division, Safety and Standardization Branch and is the former Aviation Standardization Officer for the Kentucky Army National Guard and 63rd Theater Aviation Brigade. In addition to the National Guard Association of Kentucky Billy G. Wellman Award, CW5 Stoops is a recipient of the prestigious National Guard Association of the United States Patrick Henry Award and the U.S. Army Warrant Officer Career College Honorable Order of the Eagle Rising Society Award for Distinguished Service. Other honors include the Army Aviation Association of America’s Honorable Order of St. Michael – Silver Award, Honorable Order of Kentucky Colonels, Honorable Order of Kentucky Admirals, Honorable Order of Kentucky Aces, and the National Guard Bureau Minuteman Award. On March 9, 2010, the General Douglas MacArthur Leadership Award Winners for CY 2009 were announced - The twenty-eight Officers selected epitomize the ideals for which for which General MacArthur stood for: Duty, Honor, and Country. Among these selected officers were three Warrant Officers: Chief Warrant Officer 2 Ricky W. Fowler, active Army, Chief Warrant Officer 2 Mark J. Simon, Army National Guard; Chief Warrant Officer 2 Thomas A. Yelito, Army Reserve. Award activities, an Award Ceremony, and associated events will take place in Washington, DC during 5 - 6 May 2010. On April 5, 2010, the Senior Warrant Officer Advisory Council (SWOAC) briefed General Chiarelli, Vice Chief of Staff, Army, on four warrant officer issues brought to his attention at the February 2010 SWOAC meeting. See SWOAC Update. 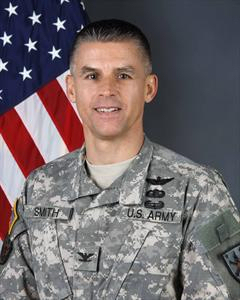 In April 2010, Chief Warrant 5 Wade H. Lovorn III replaced Chief Warrant 5 Michael Anderson as the Chairman of the Senior Warrant Officer Advisory Council (SOAK), Senior Warrant Officer Advisor to the Commanding General and Combined Arms Command, Center for Army Leadership as a Leader Development Officer. CW5 Anderson is being reassigned to U. S. Pacific Command Headquarters. See CW5 Lovorn's biography. On April 26, 2010, H.R. 5136, National Defense Authorization Act (NDAA) for Fiscal Year 2011, was introduced in the U.S. House of Representatives. Section 507 of the bill would amend Section 571(b) of Title 10, United States Code to provide that appointments in the grade of regular warrant officer, W-1, be made by the regulation issued by the Secretary of the Military Department and that these appointments shall be made by the President except that appointments in that grade in the Coast Guard shall be made by the Secretary concerned. Section 507 further amends Title 10 so that appointments in permanent reserve warrant officer grades shall be in the same manner as prescribed for regular warrant officers grades. The prognosis for retention of these changes in the final NDAA is good because there is no cost involved. 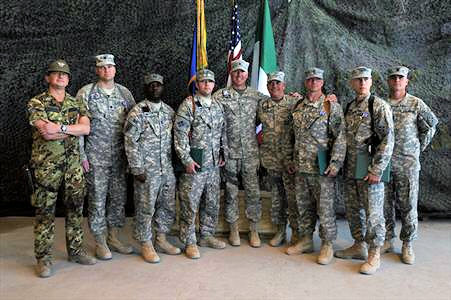 On April 28, 2010, after 16 weeks of advanced training at Fort Bragg, Special Forces Soldiers who left their battalions wearing the chevrons of noncommissioned officers return to those same battalions as warrant officers, ready to command or help command Special Forces operational detachments. This class of warrant officers graduating from the certification course will be the last to do so under the John F. Kennedy Special Warfare Center & School's temporary appointment authority. This class of warrant officers graduating from the certification course will be the last to do so under the John F. Kennedy Special Warfare Center & School's temporary appointment authority - see more. In May 2010, the Chemical, Biological, Radiological & Nuclear School (CBRN) at Fort Leonard Wood, MO started new Warrant Officer program. Implementing the CBRN warrant officer program requires the Chemical officer branch to convert 13 percent of its positions to warrant officer positions, ultimately decreasing the number of Branch Detail officers accessed by 30-50 percent. These officer conversions apply to all three components: Active Army, National Guard and Army Reserve. The adjustment provides an increased opportunity for many CBRN lieutenants to serve in platoon leader positions that previously were filled by branch detail officers - see the article published in the March 2010 NEWSLINER of the U. S. Army Warrant Officer Association. 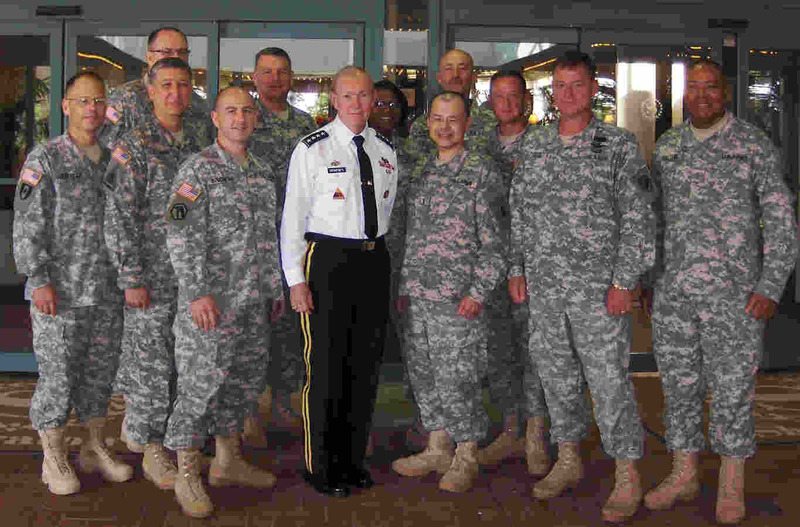 From June 7 to 11, 2010, the first Warrant Officer Summit was held at the U. S. Army Warrant Officer Career College (WOCC), Fort Rucker, Alabama. Invitations were limited to the most senior leaders of the Warrant Officer Corps. The purpose of the Summit was to aggressively seek issues that will promote improvement of the Warrant Officer Corps. 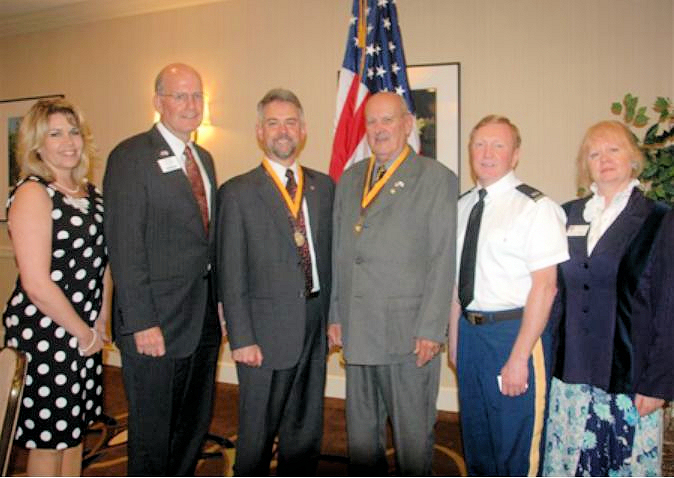 The theme for this event was “Learn from the past, focus on the future.” U. S. Army Warrant Officers Association National President CW5 Gary Nisker reported on the highlights of the summit in the Association's July NEWSLINER. 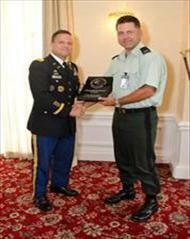 In June 2010, Two Army Warrant Officers were honored by the Adjutant Generals Corps Regimental Association. Pictured left: Chief Warrant Officer 5 (Ret) Antonio B. Enclave was inducted into the Adjutant General Corps Hall of Fame. CW5 Enclave holds the honor of being the first Chief Warrant Officer in the Adjutant Generals Corps promoted to the grade of CW5. At the time of his induction CW5 (Ret) Enclave was serving as Chief, Army Soldiers Records Branch responsible for 460,000 Active Army Enlisted records -. Pictured right: Chief Warrant Officer 2 Pamela Rogers was recognized at the Adjutant Generals Corps Warrant Officer of the Year with the Lt. Gen. Timothy J. Maude Medal for Distinguished Service. CW2 Rogers was assigned as a Human Resources Technician with the 3rd Infantry Division Special Troops Battalion in Iraq at the time of the award. 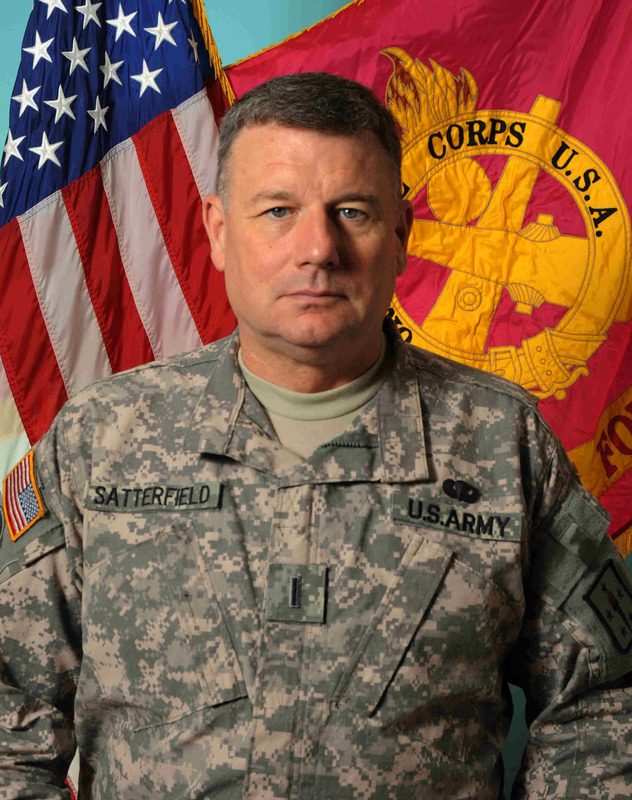 Also in June 2010, Chief Warrant Officer 5 Bernard L. Satterfield was appointed as the 7th Regimental Chief Warrant Officer of the Ordnance Corps. He succeeds Chief Warrant Officer 5 Arthur G. Dahl, IV who had served as the Regimental Chief Warrant Officer since September 2008. 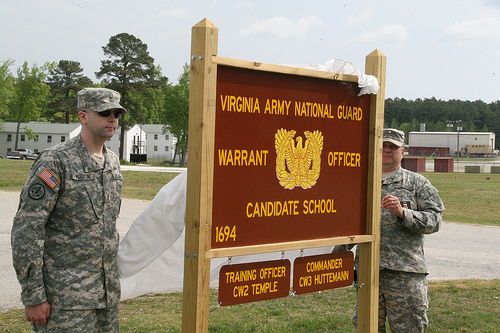 On July 27, 2010, the final Ordnance Warrant Officer Basic Course and Warrant Officer Advance Course students graduated at the old home of Ordnance at Aberdeen Proving Ground, MD. All future classes will be conducted at the new home of Ordnance at Fort Lee, VA. Pictured left with the graduating students are Chief Warrant Officer 5 Bernard Satterfield, Ordnance Regimental Chief Warrant Officer (seated center front row); Chief Warrant Officer 4 (Retired) Kenneth B. N.. "Pete" Hill, USAWOA National Vice President (3d from left 2nd row); and Chief Warrant Officer 4 (Retired) Gregory Gouty, USAWOA Northeastern Region Director (far right 2nd row)..
On August 11, 2010, the Department of Defense POW/Missing Personnel Office announced that the remains of two U.S. servicemen, missing in action from the Vietnam War, have been identified and will be returned to their families for burial with full military honors. Army 1st Lt. Paul G. Magers of Sidney, NE, will be buried on August 27th in Laurel, MT, and Army Chief Warrant Officer Donald L. Wann of Shawnee, OK, will be buried on Aug. 21 in Fort Gibson, OK. On June 1, 1971, both men were flying aboard an AH-1 Cobra gunship in support of an emergency extraction of an Army ranger team in Quang Tri Province, South Vietnam. After the rangers were extracted, helicopters were ordered to destroy claymore mines which had been left behind in the landing zone. During this mission their helicopter was hit by ground fire, crashed and exploded. Pilots who witnessed the explosions concluded that no one could have survived the crash and explosions. Enemy activity in the area precluded a ground search at that time. On August 17, 2010, members of the U.S. Army Warrant Officers Association on Joint Base Balad, Iraq, joined with Soldiers and Airmen and volunteered to beautify the United Service Organization’s (USO) building with a fresh coat of paint. On October 6, 2010, Brig. Gen. Sean G. MacFarland, Deputy Commanding General, Combined Arms Center for Leader development and Education officiated at the Army Aviation Museum, Fort Rucker, AL as Colonel Mark T. Jones the outgoing Commandant relinquished Command of the Warrant Officers Career College to Colonel Stanley O. Smith the incoming Commandant. On October 12, 2010, four bridges along State Route 840 were dedicated to four Tennessee National Guardsmen who died in 2010 while in service. The ceremonies made a total of 22 bridges along the Tennessee National Guard Parkway that are dedicated to soldiers from the Tennessee National Guard. Two of the guardsmen were killed in a helicopter accident in Iraq Feb. 21. Chief Warrant Officer 2 Billie Jean Grinder of Gallatin and Capt. Marcus Ray Alford of Knoxville were killed when the helicopter they were in made a "hard landing" at a base. Two others died at Camp Shelby, Miss., as they were preparing for a deployment to Iraq. Staff Sgt. Michael Wayne Tinsley Sr., from Jackson, died on Feb. 10 and Sgt. David Clay Prescott Jr., from Murfreesboro, died Feb. 4. On November 3, 2010, Chief Warrant Officer Four Princido Texidor, the U.S. Army Forces Command Food Service advisor, was promoted to the rank of Chief Warrant Officer Five. The promotion made Texidor the first Hispanic to achieve the rank of CW5 in the Army's Food Service branch. "It is very satisfying to receive this honor," he said, adding proudly, "Food Service is one of the most important jobs in the Army, and I look forward to continuing to make sure things get done right so Soldiers can do what they need to do." On November 15th, 2010, the U. S. Army Special Forces Command held a Change of Responsibility Ceremony for the Command Chief Warrant Officer (CCWO) position. 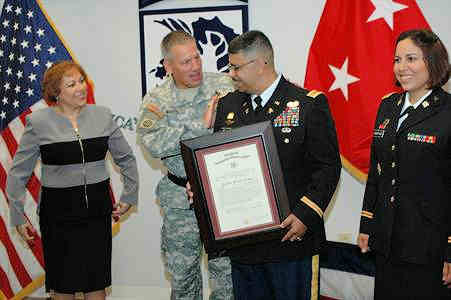 The outgoing CCWO, CW5 Bruce Watts, started his new job at Task Force SWORD at Fort Bragg, NC. The incoming CCWO, CW5 Doug Frank, leaves his position as CCWO of 7th Special Forces Group (Airborne). On January 10, 2011, President Obama signed the National Defense Authorization Act for Fiscal Year 2011 into law. Included is a change to the law authorizing the commissioning of Warrant Officers (W-1). This change now means that that all Army Warrant Officers and Chief Warrant Officers serve in commissioned status. Warrant Officers (W-1) were formerly appointed by the individual Service Secretary. See an extract of the amendments to the law. Implementation of the amendments to Title 10 of the United States Code await regulatory guidance from the Department of Defense and the Department of the Army. On February 17, 2011, CW5 Scott Hagar passed his responsibilities as Chief Warrant Officer of the Adjutant General Corps to CW5 Coral Jones. On 5 March 2011, Lt.Col. Richard Kostecki, Commander, 495th Combat Sustainment Support Battalion, passes the guidon of the 1049th Engineer Fire Fighting Detachment to the unit's new commander, WO1 Scott Turner, . WO1 Turner, a 120A Construction Engineering Technician, is the first warrant officer to take command of this Montana Army National Guard unit. He recently returned from a deployment to Afghanistan with the 2nd Ranger Battalion, 75th Ranger Regiment. The 1049th Engineer Firefighting Detachment is designated as theater available in the Global Force Pool. The unit's mission is to provide command, control, and coordination of Engineer Fire Fighting Teams. On March 1, 2011, the Army announced the winners for calendar year 2010 . These 28 officers epitomize the ideals for which General Douglas MacArthur stood: Duty, Honor, Country. Warrant Officers selected were CW2 Lanorris G. Ford, Active Army; WO1 David S. Turpin, Army National Guard; and CW2 Dyland E. Raymond, Army Reserve. An Awards Ceremony and related events and will take place in Washington, DC, during the period May 18 and 19, 2011. 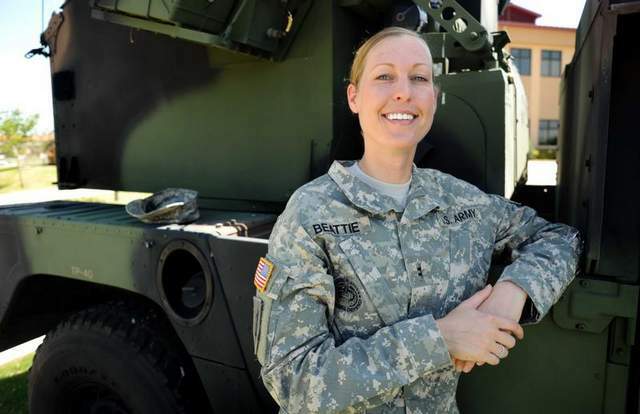 On March 10, 2011, Redstone Arnesal’s last Missile Warrant Officer class graduated before course moves to Fort Lee. These Soldiers represented the end of more than 40 years of warrant officer missile training at Redstone Arsenal. This graduating class of 12 warrant officers marked the end of the line for the training here because it’s going to Fort Lee, Va., as part of the Ordnance school’s move under base realignment and closure. See Redstone Rocket newspaper article. March 22, 2011, three Warrant Officers, CW3 Donald K. Procter, CW3 Uriah Hayes and CW2 Timothy Pool were awarded the Distinguished Flying Cross, a medal that recognizes “exceptional heroism,” for fearless maneuvers on October 2010 that enabled the rescue of 91 Italian and Afghan special forces,. 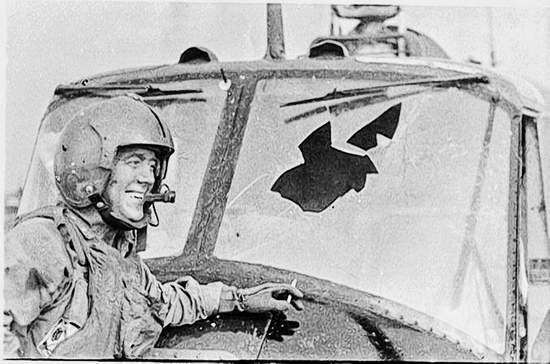 Also awarded the Distinguished Flying Cross were Lt. Col. Ronald G. Lukow, Capt. Paul McKnight. Pictured from the left, Italian Brig. Gen. Giacomo Bellacicco, Regional Command (West) commander, Task Force Comanche commander Lt. Col. Ronald Lukow, Capt. Paul McKnight, CW2 Timothy Pool, 4th Combat Aviation Brigade commander Col. Daniel Williams, 4th CAB Command Chief Warrant Officer, CW5 Lance McElhiney, CW3 Uriah Hayes, CW3 Donald Procter and 4th CAB Command Sgt. Maj. Donald Rose at the March 22 event at Shindand Air Base, Afghanistan, where five 4th CAB soldiers received the Distinguished Flying Cross. On March 25, 2011, a Warrant Officer Professional Development Day was held at the Al FAW Palace, Victory Base Complex (VBC), Iraq. The seminar was attend by over 80 Warrant Officers from across Iraq (pictured at left). The guest speaker was CW5 Harry Pershad (pictured right). 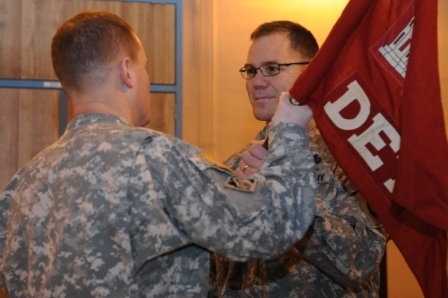 On April 6, 2011, a change of responsibility ceremony took place in the Pentagon Hall of Heroes where CW5 Ronald Galloway assumed the position of Assistant Executive Officer and Warrant Officer Advisor to the Chief of Staff, Army from CW5 Carl Jenkins. On April 8, 2011, CW5 Thomas J. Wilson assumed responsibilities as Transportation Corps Chief Warrant Officer of the Branch (CWOB). .
On May 27, 2011, the 93rd Birthday of the Warrant Officer Corps was celebrated at the Al Faw Palace located on the Victory Base Complex. The guest speaker was General Lloyd J. Austin III, USF-I Commanding General. His speech focused on the contribution of Forces in Iraq and the technical and tactical support that the Warrant Officer Corps has provided to the OIF and OND missions in Iraq. There was a cake cutting ceremony, music by a jazz ensemble, and recognition of the Warrant Officers with the number of the most deployed months and the number with the most deployments. 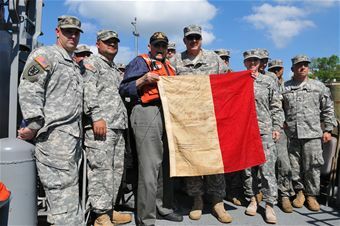 The event was held prior to the July 9th Corps Birthday due to the reposture of Forces in Iraq. 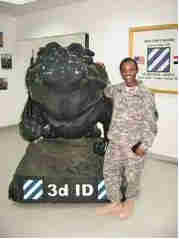 Story submitted by CW5 Sonji C. Moss-Clyburn USF-I J4 S&S Asset Visibility Chief. 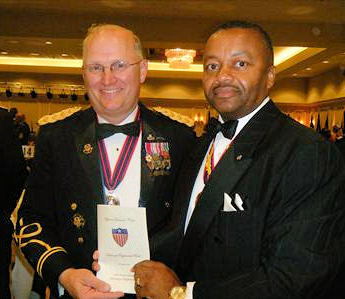 On June 10, 2011 - CW5 (Ret) Charles T. Wigglesworth, left, and CW5 (Ret) Gerald I. Sims, Sr., right, were inducted as Distinguished Members of the Adjutant General's Corps Regiment. The ceremony was held in Columbia, South Carolina. 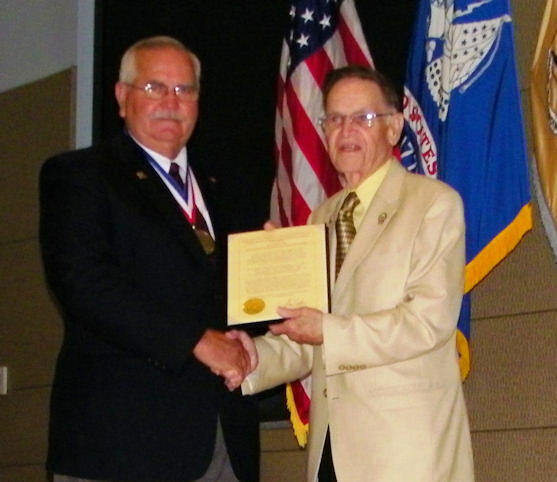 On June 17, 2011, CW5 (Ret) Frank Meeks was honored with two Inductions. Pictured left Brig. Gen. Gwen Bingham, 51st QM General, inducted CW5 (Ret) Frank Meeks into to the Quartermaster Corps Hall of Fame, while Mrs. Gail Meeks looks on. Standing behind Brig Gen. Bingham is Maj. Gen. (Ret) Hawthorne L. Proctor, 46th QM General, who accepted the award for COL A. Newton Horn (Decreased). Pictured right CW5 (Ret) Meeks was then inducted into the USAWOA Honorable Order of the Eagle Rising by USAWOA President Emeritus CW4 (Ret) Donald 'Don' Hess. The Citation was read by CW5 Candis 'Candy' Martin. Both ceremonies took place at the Combined Arms Support Command, Fort Lee, Virginia. 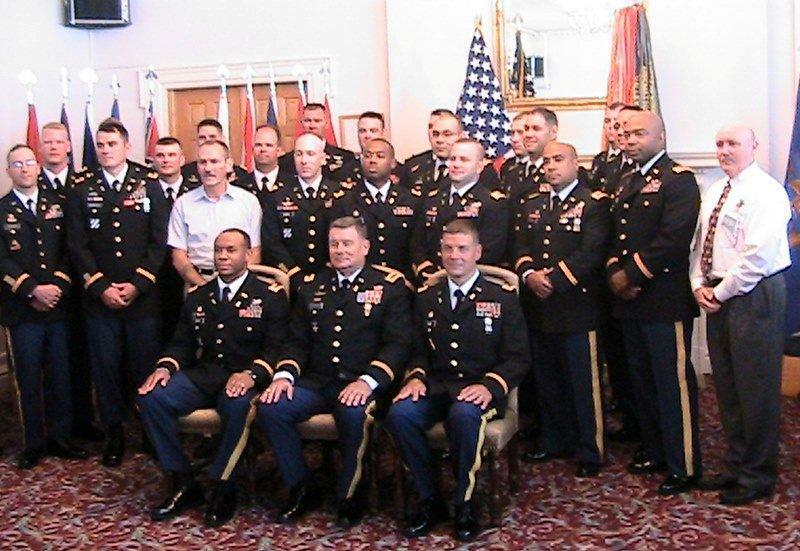 On June 28, 2011, Warrant Office professional Development and celebration of the 93rd Birthday of the Army Warrant Officer Corps was conducted in Iraq. CW3 Scott Franek (at the podium), who is assigned to the 77th Sustainment Brigade, and also is the Joint Base Balad USAWOA Sub-Chapter President addresses the assembly during Warrant Officer Professional Development at the Sub-Chapter meeting on which was held on 28 June 2011 in the Audie Murphy Room at the Joint Base Balad Dining Facility 1. 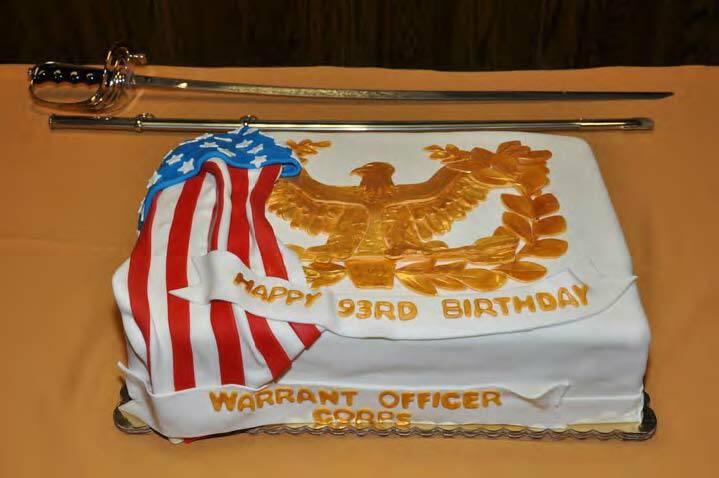 On July 8, 2011, Fort Knox Celebrated the Warrant Officer Corps 93rd Birthday. As the rain steadily poured on an otherwise warm July 8, 2011, so too did the stream of Warrant Officers arriving at the Fort Knox’s Leaders Club to commemorate the 93rd US Army Warrant Corps Birthday. The event occurred right on the heels of the Nation’s 235th Birthday celebration. The spirit of Warrant Officer Service to a grateful nation was echoed throughout the event. Mr. Emmet E. Holley, the Fort Knox Deputy Garrison Commander, provided opening remarks that featured technical pointers he learned from a supply Warrant Officer as a young Lieutenant. He challenged the attendees to “remain relevant in the future” by broadening their experience base with education, operational assignments and mentorship. CW5 Janie Diamond delivered the key note address to a packed room of Warrant Officers, retirees, NCOs, Soldiers, and community leaders. On July 8, 2011, the Cyber Leader College, 15th Signal Brigade, Signal Center of Excellence, Fort Gordon, GA, conducted a graduation ceremony for Warrant Officer Advance Course 255S-001-11. Sixteen Soldiers completed the course that will soon qualify for military occupational specialty 255S (Information Protection Technician). This is only the second class to be run since the course was conceived. Graduates are charged with the defense of the Army’s portion of the cyber domain. These sixteen defenders will join their predecessors at various assignments around the world as the Department of Defense slowly integrates them into highly needed slots. This elite group of highly trained defenders consisted of Active Duty and Army Reserve warrant officers and one Non-Commissioned Officer. The integration of the NCO Corps into the course greatly signifies the desired union and needed support that is required to accomplish the enormous task of defending cyber space. Immediately following the graduation, the 93rd Warrant Officer Anniversary Commemoration was celebrated with a cake cutting ceremony in the lobby. The cake cutting honors were performed by the most junior Signal Warrant Officer within the Signal Corp, WO1 Angela Ellis and the most senior Signal Warrant Officer, CW5 Todd Boudreau. There have been many significant events within the Warrant Officer Corp, from the creation of the Warrant Officer Corps in 1918, to the approval of the Warrant Officer Insignia in 1921, the retiring of the coveted “Eagle Rising” in 2004, to the creation of the prestigious Information Protection Technician in 2010. As the requirements for technical experts continue to grow, so shall the force and resolve of the Warrant Officer Cohort. Pictured CW5 Boudreau and WO1 Ellis cut the cake at the 93rd Warrant Officer Anniversary Commemoration. 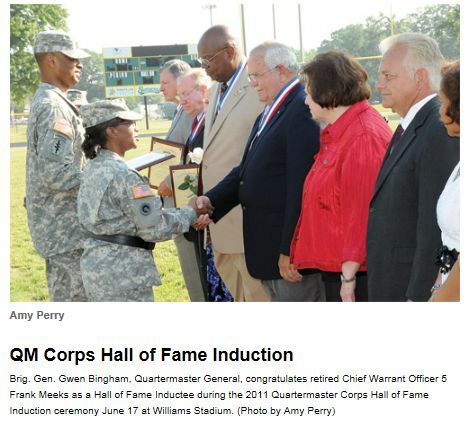 Story by CW4 Michael Gaskin and picture courtesy THe Signal published for the Fort Gordon Community. On 12-13 July 2011, the 37th Chief of Staff, Army (CSA) hosted the Army's Training and Leader Development Conference (ATLDC) in the National Capital Region. GEN Martin E. Dempsey, CSA, articulated the way ahead for the Army in areas that ran the gamut from end strength to the new Officer Evaluation Report. For the Warrant Officer cohort, the 2011 ATLDC was a historic event in every regard since this marked the first time an invitation was extended to Senior Warrant Officers. The following Chief Warrant Officer of the Branches (CWOB) and Regimental Chief Warrant Officers (RCWO) attended on behalf of their branches. A special thanks to CW5 David Williams, G3/5/7 wh coordinated this initiative. Pictured : First Row - CW5 Robert Lamphear (EN) CW5 Wade Lovorn (QM) CW5 Todd Boudreau (SC) GEN Martin E. Dempsey (CSA) CW5 Joe Okabayashi (MI) CW5 Michael Reese (AV) CW5 David Williams (HQDA G-3); Second Row - CW5 Herman Burton (AD) CW5 Bernard Satterfiefd (OD) CW5 Coral Jones (AG) CW5 Michael Wichterman (SCOE) CW5 David Albaugh (MP). Attending but not pictured were CW5 Thomas Wilson (TC) and CW5 Bobby Whigham (FA), both of whom were not available at the time. 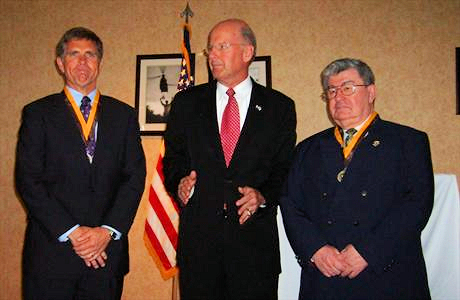 On July 20, 2011, in Alexandria, Va. - Vice Admiral Norb Ryan, Jr., USN Ret,President of the Military Officers Association of America (MOAA) presented the Honorable Order of the Eagle Rising Society 2010 Induction awards to CW5 Albert S. Eggerton of Springfield, Va., and CW5 David P. Welsh of Chincoteague Island, Va., at a luncheon hosted by the U.S. Army Warrant Officer Career College. Pictured from left, MOAA Executive Administrative Assistant Michele Au Buchon; MOAA President VAdm Norb R. Ryan Jr.; inductee CW5 Albert S. Eggerton; inductee CW5 David P. Welsh; USAWOCC Deputy Commandant CW5 Mike Funk; and Cerie R. Kimball, Mt. Vernon Chapter member. 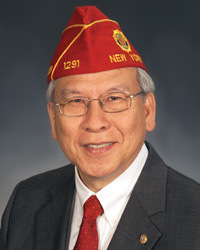 On September 1, 2011, Fang A. Wong of East Brunswick, N.J., was elected national commander of The American Legion during the 93rd National Convention in Minneapolis, MN. Born in Canton, China, Wong immigrated to the United States as a 12-year-old in 1960. 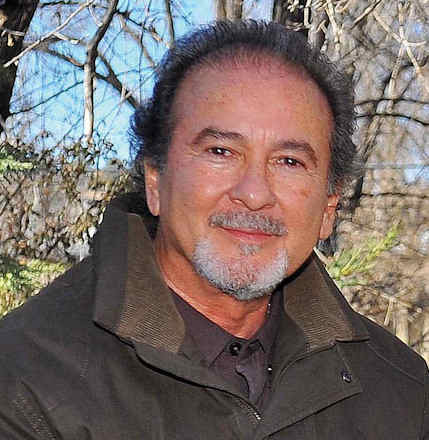 He attended New York City public schools and became a naturalized citizen in 1963. 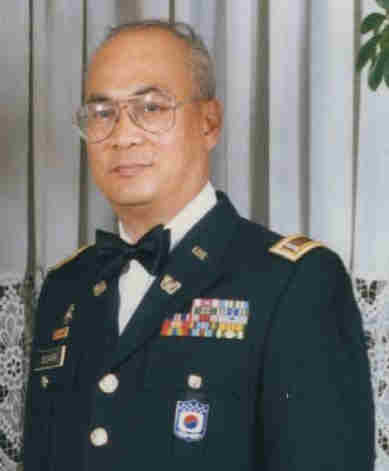 Wong volunteered for the U.S. Army in 1969, served 25 months in Vietnam, and retired from the Army as a Chief Warrant Officer in 1989. On November 1, 2011, President Obama used the Antiquities Act of 1906 to declare Fort Monroe a National Monument. This is a key step in Fort Monroe becoming a National Park. It tells the story of America’s painful journey with slavery and it is of historical value as the birthplace of the Warrant Officer Corps in the Army Mine Planter Service of the Coast Artillery. The push continues in Congress for its designation as a national park. Also in 2011, CW4 Kevin A. N. Bone (180A) became the first Warrant Officer to graduate from the National Defense University, better known as the “War College”. Pictured left Mr. Bone received the Chancellor’s Award for outstanding performance and leadership in working with the International Students. Pictures right, to mark this mile-stone, Mr. Bone presented a statuette to the Chancellor of the College for posterity, representing the Warrant Officer Corps. On February 15, 2012, the Training and Doctrine Command issued a tasking to the Combined Arms Command to convene a "Warrant Officer Continuum of Learning Study" to validate the specified professional knowledge, skills and behaviors the Army requires of its warrant officers at each grade and determine whether current, successive levels of Professional Military Education produce those desired outcomes. See the TRADOC Tasking and a Warrant Officer Study Information Paper. The March 2012 edition of the Army Historical Foundation CALL TO DUTY newsletter announced the National Museum of the U. S. Army VETERANS' HALL SPONSORSHIP and asks veterans' groups to "Follow the lead.." Of the six groups already demonstrating "Support in action!" The Warrant Officers Heritage Foundation is a SILVER STAR Member having issued a grant in the sum of $5,000 on November 3, 2009 - see more. On June 29, 2012. CW5 Robert D. Witzler assumed responsibility as the Command Chief Warrant Officer of the U. S. Army Special Operations Aviation Command from CW5 David F. Cooper who then retired after 28 years of service. CW5 Cooper is a Distinguished Service Cross recipient and member of the Army Aviation Association of America's Hall of Fame. At the time of his retirement, he was the only currently serving Army Aviator to receive the DSC. On July 9, 2012, Gen. Lloyd J. Austin III the Army Vice Chief of Staff hosted a Warrant Officer Birthday Ceremony in the Pentagon Auditorium. The ceremony commemorated the 94th anniversary of the establishment of the Warrant Officer Corps in the Army Mine Planter Service of the Coast Artillery on July 9, 1918. Also, on July 9. 2012, Lt. Gen. (Ret) Theodore Stroupe, AUSA Vice President and former HQDA Deputy Chief of Staff for Personnel, host a Cake Cutting at the Association of the U.S. Army Headquarters in Arlington, VA. Attending the Ceremony were members of the Senior Warrant Officers Advisory Council and representatives of the U.S. Army Warrant Officers Association. On July 9, 2012, CW5 Phyllis Wilson assumed the position of Command Chief Warrant Officer (CCWO) of the Army Reserve. In a Change of Responsibility Ceremony at the Headquarters of the Office of the Chief, Army Reserve (OCAR) , Fort Belvoir, VA, CW5 Wilson succeeded CW5 James E. Thompson, the USAR Command Chief Warrant Officer (CCWO) since September 2003. 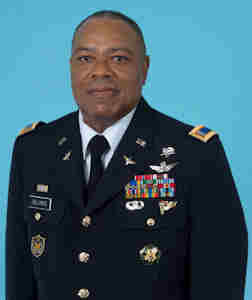 As the CCWO, CW5 Wilson serves as advisor to the Chief and Deputy Chief of the Army Reserve and their staff at OCAR and the U.S. Army Reserve Command. 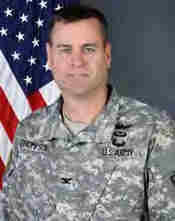 On October2, 2012, the Director of the Army National Guard, Lt. Gen. William E. Ingram, Jr., announced the selection of CW5 Thomas G. (Gary) Ensminger, Command Chief Warrant Officer of the Tennessee Army National Guard, to be the next Command Chief Warrant Officer of the ARNG. He will succeed CW5 Gary R. Nisker; report date to be determined. CW5 Ensminger will represent and advise the Director on all matters pertaining to ARNG policies and actions that affect the warrant officers of the ARNG. On December 6, 2012, CW5 Roger C. Perry (ARNG, Ret.) was honored as the 2011 Inductee into the Eagle Rising Society at the U.S. Army Warrant Officer Career College, Fort Rucker, AL. The Society is sponsored by the Military Officers Association of America. 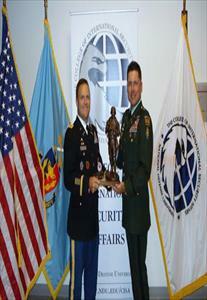 On March 1, 2013, GEN Douglas MacArthur Leadership Award Winners for calendar year 2012 were announced. Among the 28 Company Grade Officer Winners were three Warrant Officers. They were: Active Army Catgegory - CW2 Jason W. Myers, U. S. Army Special Operations Command, Army National Guard - CW2 James. A. Swift, Oregon Army National Guard, and Army Reserve - CW2 Leslie C. Westbrook. Award activities, an Award Ceremony and of associatied events took place in Washington, DC on May 29 and 30, 2013. In April 2013, the Warrant Officer Historical Foundation purchased four Commemorative Bricks for the entrance walkway of the planned National Museum of the U.S. Army. These bricks recognize Vietnam era Medal of Honor recipients MAJ Frederick E. Ferguson, then CW2; CW4 Michael J. Novosel, then a an CW3; and CW2 Louis R. Rocco, then SFC; plus the first and only Army Warrant Officer Astronaut CW4 Thomas J. Hennen, then a CW3. On May 7, 2013, Army Regulation 25-50, Preparing and Managing Correspondence, was changed. It directed that all retired Soldiers are to be officially recognized by the same title – U.S. Army Retired – regardless if their service was active duty, reserve duty (USAR or ARNG), or a combination of both. ONE Team - ONE Army - ONE Nation! See more. On July 9, 2013, at a ceremony celebrating the 95th birthday of the Warrant Officer Corps in the Pentagon Auditorium , Vice Chief of Staff of the Army Gen. John F. Campbell asked those in the crowd that were not warrant officers to stand. "What's the first thing that pops in your mind when you think about warrant officers?" Campbell asked to those who stood. Among the responses were words like "professional," "candor," "knowledgeable," and "passionate." Responses differed throughout the crowd. Some responses, like that of Sgt. Maj. of the Army Raymond F. Chandler, were stories, not a single word. But they all reflected the specialization and skill for which the Warrant Officer Corps has come to be known. The Warrant Officer Corps was founded on July 9, 1918, when an act of Congress created the Army Mine Planter Service as part of the Coast Artillery Corps. 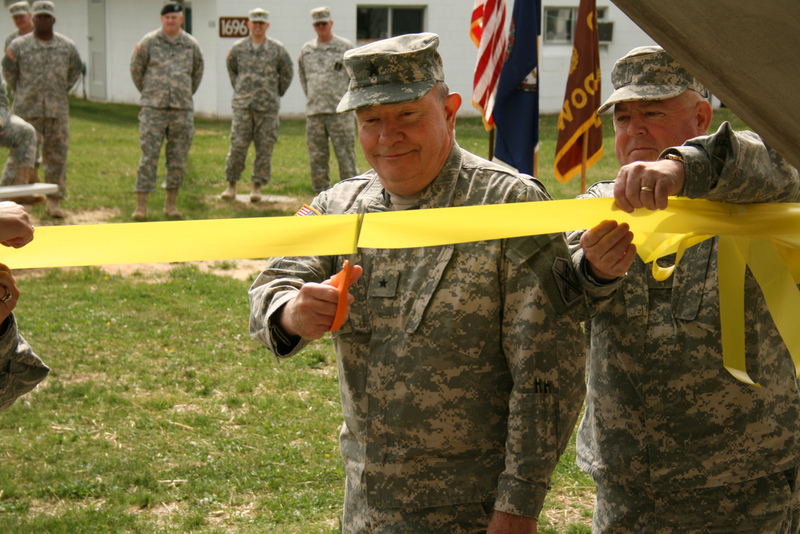 Since then, the Warrant Officer Corps has expanded to cover 17 of the 20 branches of the Army. The largest branch that warrant officers serve is aviation. 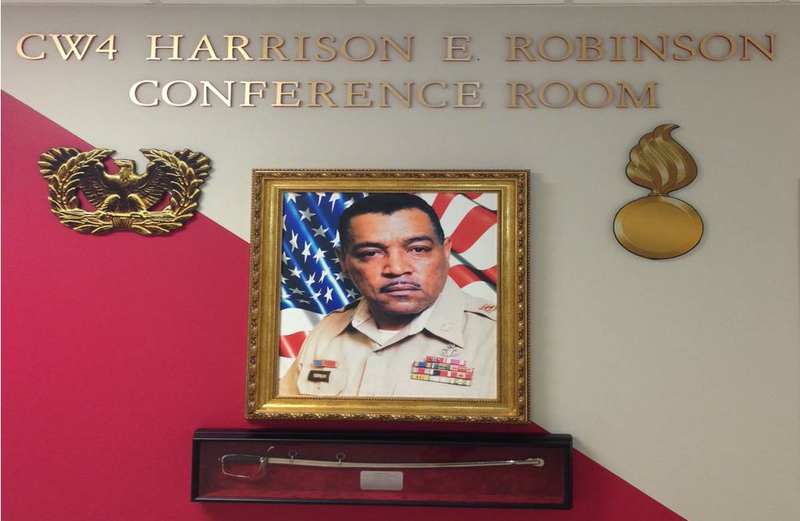 On October 18, 2013, the CW4 Harrison E. "Smoke" Robinson Conference Room will be dedicated at the Ordnance School, Fort Lee, Virginia. COL Jack Haley, Ordnance School Commandant and CW5 TerryHetrick, Regimental Chief Warrant Officer are scheduled to cut the ribbon dedicating the Conference Room. Members of his family are expected to be in attendance. CW4 Robinson was the emitomy of the Quiet Professional that we would hope the Warrant Officer of today would emulate. In November 2013, the Warrant Officer Historical Foundation purchased a Commemorative Brick for the entrance walkway of the planned National Museum of the U.S. Army in recognition of WW II Medal of Honor recipient CW4 Oscar Johnson, then a PFC. On January 17, 2014 the War College Commandant visited the Warrant Officer Career College - see article by CW5 James Rathburn, Chief, Academic Instruction Division, WOCC, Fort Rucker, Al. February 2014 is National African American History Month - See African American Warrant Officers and the Vietnam War by CW4 (Ret) Farrell Chiles. March 2014 was Women's History Month - The Theme for the year was Celebrating Women of Character, Courage, and Commitment." See Military Women Lead the Way by CW5 Phyllis Wilson, Command Chief Warrant Officer of the Army Reserve..
On March 14, 2014, General Raymond T. Odierno, the Chief of Staff, Army (CSA) created a new position for an Army Staff Senior Warrant Officer (ARSTAF SWO) - The CSA selected CW5 David Williams as the first ARSTAF SWO (see the "CSA Sends" message). See also Meet the new voice for warrant Officers - They want more tech training, better shot at promotion, he says, Army Times, 5/26/2015 (used with permission). 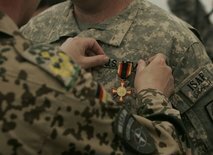 On March 27, 2014, eight soldiers from Fort Bragg’s 3rd Special Forces Group were awarded Silver Stars for acts of valor while serving in Afghanistan. Among the eight were Warrant Officer Robert Hinsley and Chief Warrant Officer 2 Jason Myers. 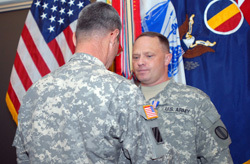 Hinsley was recognized for his actions on March 9, 2013, in which he led a 15-soldier group against an estimated force of 100 insurgents when they were ambushed in a local bazaar. He repeatedly put himself under dangerous enemy fire and retrieved a grenade launcher that allowed his group to fend off the enemy during the several-hour battle. Myers was honored for his actions after insurgents took over the Chamki district center on November 10, 2011 when he pulled together a U.S.-Afghan team of five to engage the insurgents who were throwing grenades and firing automatic weapons. Myers entered the complex three times to fight barricaded suicide bombers, rescue hostages and clear booby trapped rooms. He was wounded in the hands, arms, buttocks and legs. On June 9, 2014, CW5 Richard Ayers assumed the position of Deputy Commandant at the U.S. Army Warrant Officer Career College, Fort Rucker, Alabama. Comments and additional historical data may be emailed to the Foundation at warrant.officer.history@gmail.com.